Josie's life is falling apart - lawsuits raining down, her business down the drain and a feckless husband long gone - so she gathers up her two kids and lights out for the wilderness. The Alaskan wilderness, to be specific. Heroes of the Frontier is an uproariously funny portrait of modern America and the modern family, an entirely contemporary novel gleaming with Dave Eggers' trademark intelligence and originality. There is meaning in motion. For someone on the move a lot, a consoling thought. even when you don't find what you think you will find, such as in the last scene where the mountain lake turns out to be only small and the road towards it not broad and easily marked as it seems in the beginning, but a struggle, dangerous because of the storm and ill marked. Once Josie and her kids make it to the cabin, their aching bodies want more challenge and adventure. I loved this book, I thought there were a few very funny scenes, such as the musicals she has in her head and inmates helping her with the flat tyre. I think she's indeed a hero by walking away from the lawsuit and although loosing what seemed a security in her life, freeing herself of that senseless legal battle with a dying person. Wie zou onze westerse wereld niet af en toe willen ontvluchten? Zeer hrrkenbaar, zeker als ouder die probeert aan alle verwachtingen te voldoen. 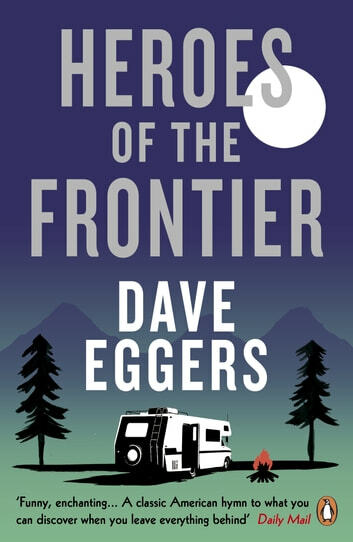 Weer een sterke Dave Eggers. Found the storyline a bit bland to be honest. I'm a big Eggers fan too. I much preferred his previous, earlier novels up to Hologram. The circle and this one are my least favourite.